So…eh….we feel like a kid late for class right now, because this review is late. Really late. And what is your excuse, young sir? Well, it would take a long time to explain that. Copout? Truthfully, the tracks, performances and music videos on this CD/DVD took a lot out of this writer, and only because of their unfiltered emotional power. A single track alone is worth ten. 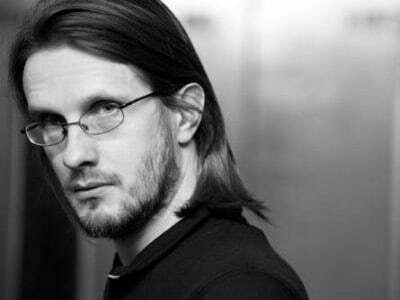 Those who have heard Steven Wilson’s incredible album ‘The Raven That Refused To Sing’ know that the tracks speak volumes on their own, but the way they are interpreted in the videos add a whole new level to it. ‘Drive Home’ is a cathartic song, one that will appeal to fans of the likes of Pink Floyd, with its soft acoustic strummings and heartfelt lyrics, with Wilson’s soothing vocals to portray them as powerfully as possible. An incredible track, one of the best this aficionado has heard all year in this genre, but the video is simply breathtaking, and not something you could watch lightly. This, you can only sit down and transfix all your energy into. It delves into the abstract, striking the most sensitive emotions in us all. It’s worth more than a thousand words, it’s worth ten thousand…literally as well as figuratively. The live encapsulations include performances of ‘The Holy Drinker’, ‘Insurgentes’, ‘The Watchmaker’, and ‘The Raven That Refused To Sing’, and they are of the highest quality, bright and colourful, cameras cutting between band members at a furious pace at times, and then zooming out to show all of them together, the nucleus of power revealed. The performance of the latter is not only accentuated by the lighting, but by the silence of the awed audience. One thing we can guarantee is that within seconds you will join them in their reverence. Not in the mood to sit and watch? No problem. The CD has much to offer as well. Three studio recorded tracks as well as the audio of the live ones, which could be mistaken for recordings anyway. The magnitude of emotion and musicianship of ‘Drive Home’ (track) doesn’t need to be explained twice…then this leads straight into ‘The Birthday Party’, an energetic song packed full of paces (the rapid changes are almost too much to keep up with). Mostly musical, the few lyrics at the end are enough to give it purpose beyond mind-boggling leads and keyboards. This release has it all. Amongst the melody are a few heavier moments, but above all the songs are something to write home about…twice. 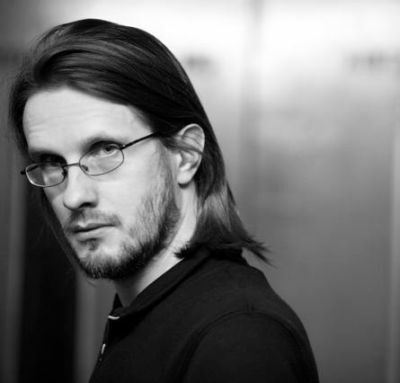 And the performances are a fine depiction of Steven Wilson’s live energy. He is as gentle with the mic and bass as the recordings would have you believe, but something special stems from that alone. Wooh!